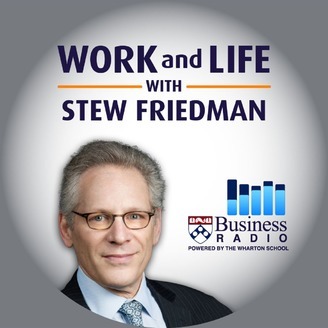 Welcome to the Work and Life Podcast with Stew Friedman -- bestselling author, celebrated professor at The Wharton School, and founder of Wharton's Work/Life Integration Project. Stew is widely recognized as the world's foremost authority on cultivating leadership from the point of view of the whole person. On this podcast, Stew talks with a variety of experts -- leading researchers, progressive executives, policy advocates, inspiring educators, and more -- about how to cultivate harmony between work and the rest of your life; that is, your family, your community, and your private self (mind, body, and spirit). 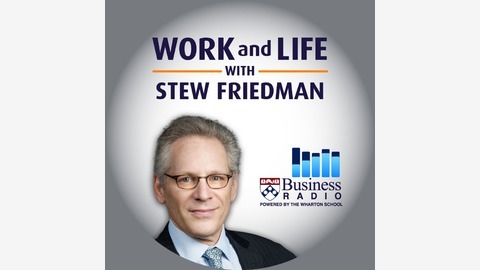 Conversations in all Work and Life Podcast episodes are taken from broadcasts of Stew's Work and Life Radio Show, which airs weekly on SiriusXM 132, Business Radio Powered by Wharton. Tune in on Tuesdays at 7:00 PM Eastern. Gretchen Spreitzer is the Keith E. and Valerie J. Alessi Professor of Business Administration at the Ross School of Business at the University of Michigan. Her research focuses on employee empowerment and leadership development, particularly within a context of organizational change and decline. Her recent research examines how organizations can enable thriving. This is part of a movement in the field of organizational behavior known as Positive Organizational Scholarship. Gretchen co-authored How to Be a Positive Leader: Small Actions, Big Impact with Jane Dutton. Stew and Gretchen discuss the ways in which we have more control and discretion than we believe we have in order to make small, meaningful changes in our work, no matter what work we do and no matter where we fall in an organizational hierarchy. They talk about the importance of finding meaning in one’s work, of having a purpose, of making an impact, and they explore practical ways to make this a reality in our daily lives. They discuss the spillover from work to home and from home to work and how energy is a renewal resource that does not necessarily become depleted but can be mutually enriching across the different parts of life.